Tim Shaw’s sculpture grapples with important contemporary and political issues while evoking mythical and metaphysical worlds. Working across a range of different mediums and scales, he produces both single entities and all encompassing, multi sensory installations that utilise sight, sound and smell. Dealing with primordial human instincts these works are timeless in quality and relate both ancient and modern humanity. Tim Shaw graduated from Manchester Polytechnic and then at Falmouth School of Art in 1989; contemporaries here included Tacita Dean and Hew Locke. He has had a number of significant solo shows Internationally, throughout the UK and Ireland with works included in many public and private contemporary art collections. 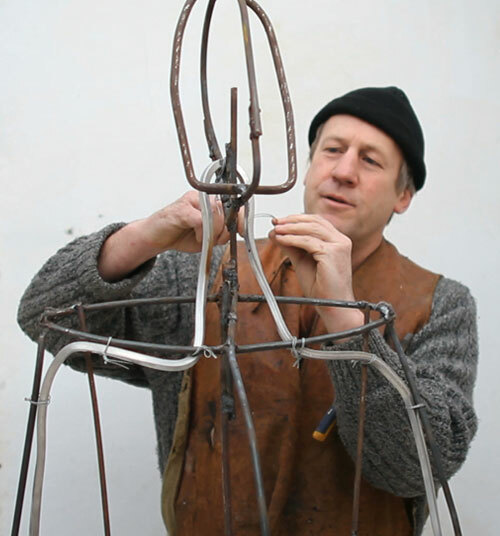 He has undertaken a number of public commissions; ‘The Rites of Dionysos’ for the Eden Project (Cornwall), ‘The Minotaur’ for The Royal Opera House (London) and ‘The Drummer’ in Truro City Centre (Cornwall). « LOADS going on at The Willow! !